Much more than a festival, more a way of life. Extrodinary people can be found there, some of whom bring pianos. The Tiny Tea Tent and Henry's Beard were the places to be! 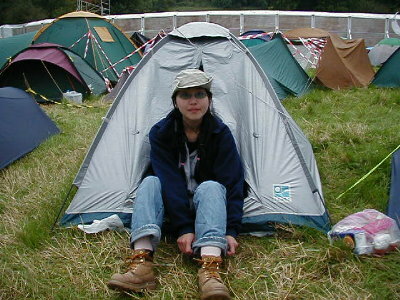 In 2002 Yuki was filmed for TV. In 2003 she wasn't, but played on nonetheless.